Water has shaped our landscapes and every civilization. Today, far too many people do not have access to safe drinking water, and those of us that do rarely have truly clean drinking water. Sadly, serious contaminants such as fracking chemicals, pharmaceuticals and even E. coli contamination are turning up in our “potable” water. Here at GRAYL’s offices in rainy Seattle, our comparatively clean and abundant water still contains added chlorine, trace amounts of arsenic and lead. We have dared to imagine that it should be possible to avoid both immediate and cumulative water hazards globally. We’ve now made that simple to achieve with [ONE PRESS] purification (+filtration). 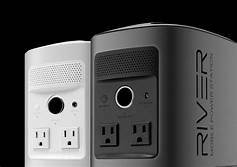 The experience of starting a company and creating a disruptive product technology has been wild and extremely rewarding, yet at the same time humbling. Some of our earliest supporters came to us with product design suggestions for improving their experience. In particular, we received requests for a lightweight and compact “bottle” capable of purification (+filtration), along with a no frills hassle-free loop cap. 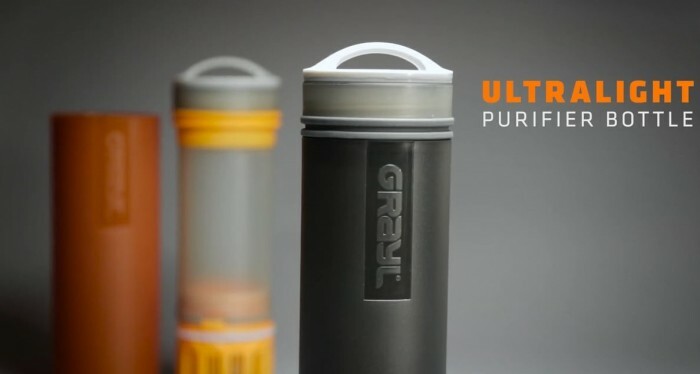 The Ultralight Purifier (+Filter) Bottle represents a pure distillation of all weâ€™ve learned over the last few years and since have aspired to create.